I love me a good mini, easy to throw in your purse, easy to travel with, and definitely gives me a sense of achievement when I hit pan (let's be real, minis are the only makeup items I will be able to hit pan on). 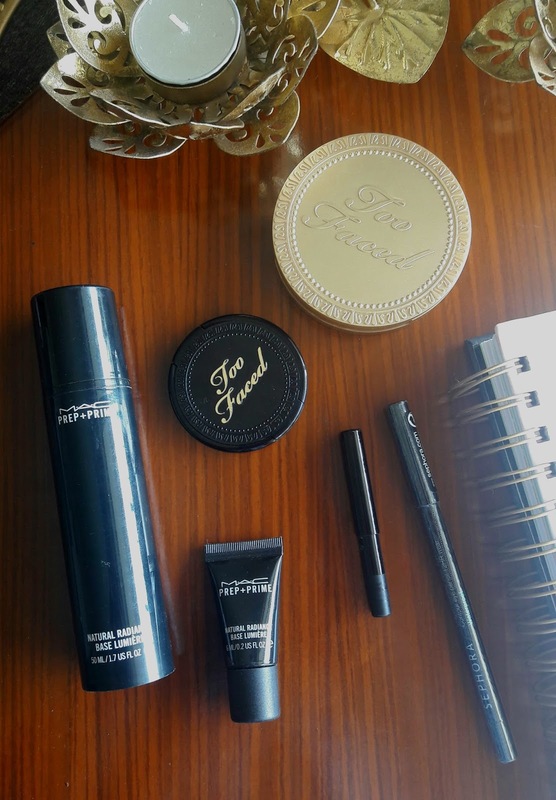 I get my mini fix from Sephora, either as part of Sephora Favorites kit (check out their holiday kits, they are total value for money), samples, or straight from the Travel Section. One question that frequently daunts me is "Am I getting a better value out of a mini?". Not 99% of the time, but does it make any sense to invest in one?. Let's put the question to test! I do own the full-size of the product, but I prefer the lil one for travel. The bronzer is slightly warm, I use this to contour and not bronze per se. Nevertheless, the product is smooth and blendable, does not turn patchy or fade over time. Full size is the better deal. There is not much price difference if you break it down to cost/gm. So, if you contour every single day, full size would be a better option, else go for travel size. Again I do own a full-size of this product, and I keep the mini one in my purse for quick hydration. I am not a big fan of the micro glitters, but on days when I don't use foundation, this product gives my face a glowy luminous look. Mini is the better deal. Surprising, I am still baffled by the calculation. There is a huge price difference between the mini and full size. One of the rare times, when David outshine Goliath. This is one of my favorite kohl pencils. The jet black pencil does not smudge on my watery eyes. I tried a mini that came in one of the Sephora Favorites set, and I loved it so so much that I purchased a backup from the Bangalore Sephora, and I then again purchased two more backups from Sephora US. There is not much price difference if you break it down to cost/gm. I would suggest going in with full size as you don't get much use out of the mini anyway (that is unless you use a blade to sharpen the lil dwarf). Jo Malone produces some of the most unique scents in the market. I only own the sample in Blackberry and Bay, and whenever I wear the scent, I can't stop sniffing myself. As much as they are unique, they don't have a good wear time like Dior or Chanel. I am planning to buy the 30 ml bottle during the VIB sale. The hefty tag of 135 dollars for 100 ml is a major Debbie Downer. The difference in cost/ml baffled me. There is a huge difference between the mini and full size. Now, whether you want to purchase the full size totally depends on your ability to drop 135 dollars! I may still go in with a mini as it is easier on my purse. Marc Jacobs lipstick formula is really comfortable on my lips, long wearing and there is a shade for everyone. The 'worth it' calculation was surprising! I couldn't find the mini for the lipstick, but the calculation was based off on this set. Mini is a better deal. If you get to try Marc Jacobs, mini lipstick, I would definitely suggest you look at the holiday kits as they are totally worth the hype and moolah. So, what do you guys think? If given a choice, would you prefer mini size or full-size product? 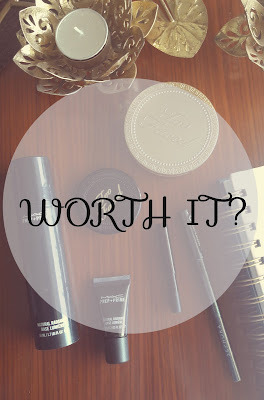 Thanks for sharing the blog its a nice information regarding the pricing of the Makeup. Thanks for updating best makeup prices. They can buy from online shopping site .